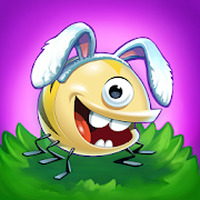 Best Fiends - Puzzle Adventure Android - Free Download Best Fiends - Puzzle Adventure App - Seriously Digital Entertainment Ltd.
"Collect and train all the little fiends and level them up"
Game Goal: The slugs of Mount Boom dominated the world of Minutia, but they fell and were captured by the families of two little Best Fiends. Join the Fiends in this rescue mission and free the planet of these disgusting mollusks. How to play: By linking three or more elements of the same color, the Best Fiends are able to attack the slugs and eliminate them. Game Options: Each phase of the game has a different purpose, so you have to be careful and plan your actions carefully. 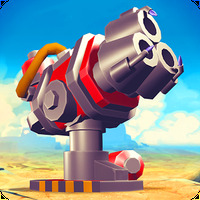 Graphics: The animations have vivid colors and a high level of details, mixing 2D and 3D elements in a very pleasant way. 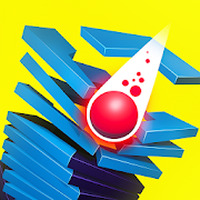 Sound: The sound quality of the game is pleasant, with good sound effects for attacks, combinations and thrills. Controls: Slide your fingers on the touch screen. Languages: Portuguese, English, Spanish, among others. Content Classification: For those who like games in the match 3 style, such as Candy Crush Saga and Bejeweled. Requirements: Android version will vary, depending on the device. Useful Tips: Each of the Best Fiends has a unique ability that proves to be more effective in certain situations; as such, always use your team based on the unique goals of each phase. Developer: Seriously Digital Entertainment Ltd. is based in Finland	- Credible developer. Installation requirements: A minimum of 91.14 MB of free memory space and Android OS which Varies with device. Ranking: The TOP 1 Most downloaded games in Puzzle Games category. Lives are limited, encouraging players to purchase additional lives. Do you like Best Fiends - Puzzle Adventure?